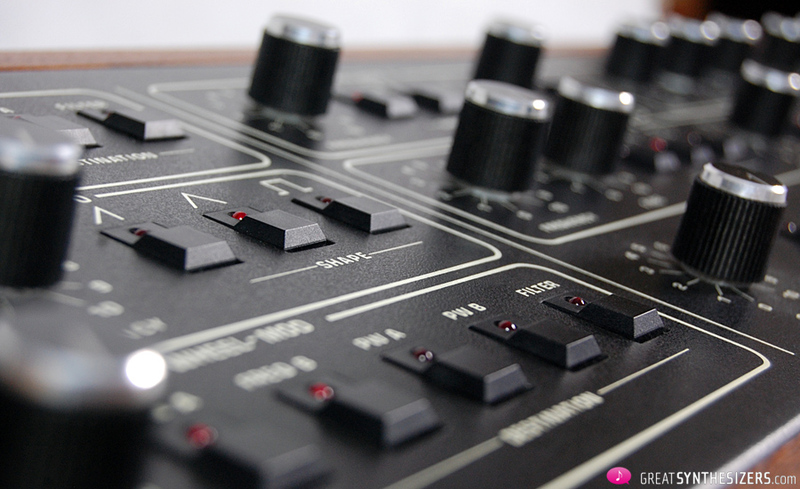 The Prophet-5 is – along with the Minimoog – possibly the most timeless of the great analog synths. An icon, so to speak. It laid the foundation for all those programmable polyphonic synths, and it defined the sound of the late 70s and early 80s in a way no other instrument had done. 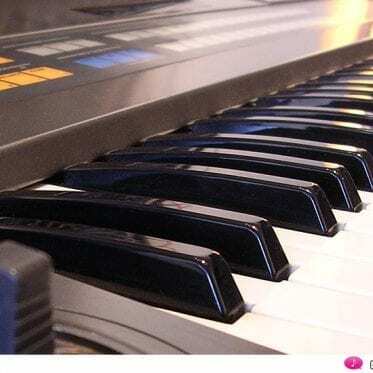 Profitting from a remarkable cooperation of American electronic music pioneers, the Prophet-5 has maintained its legendary aura up to the present day. 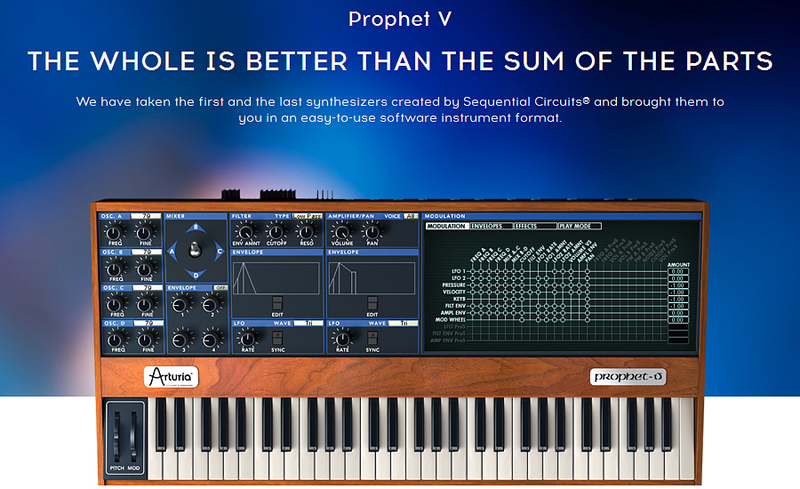 And now the Prophet-6 (and the Prophet Rev2) follows as a worthy heir in its footsteps. Of course there are other polyphonic analog synths with big names and remarkable sounds: Yamaha CS-80, Roland Jupiter-8, Moog Memorymoog, Rhodes Chroma, Oberheim OB-X/Xa/8, Sequential Prophet-T8. Not to forget the hapless Elka Synthex. 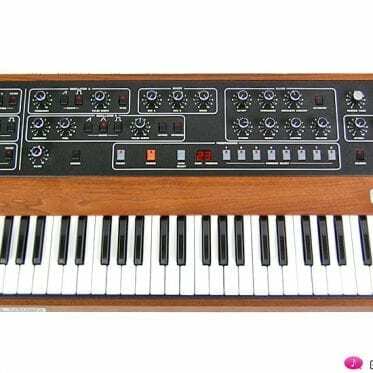 But either they suffered from certain shortcomings and technical unreliabilities, or they appeared on the market after the Prophet-5 and were able to profit from its technical advances. Be that as it may: the Prophet-5 was the first. And it was the most beautiful. And maybe it was the best. … a lot of things happend on our planet, especially in the field of electronics and especially in the musical world. Atari released its first computer with a colored monitor and 4-part sound (one year after Apple II came out with the first colored monitor worldwide). Anni-Frid “Frida” Lyngstad and Benny Andersson, from the Swedish band ABBA, got married way back then (very, very important, we know). Neil Diamond’s und Barbara Streisand’s “You Don’t Bring Me Flowers” was No. 1 in the USA. Stevie Wonder won the 5th American Music Award. And … Dave Smith presented the new Prophet-5 synthesizer to its public after a mere 8 months of development. That instrument was unique for its combination of analog and digital technique. 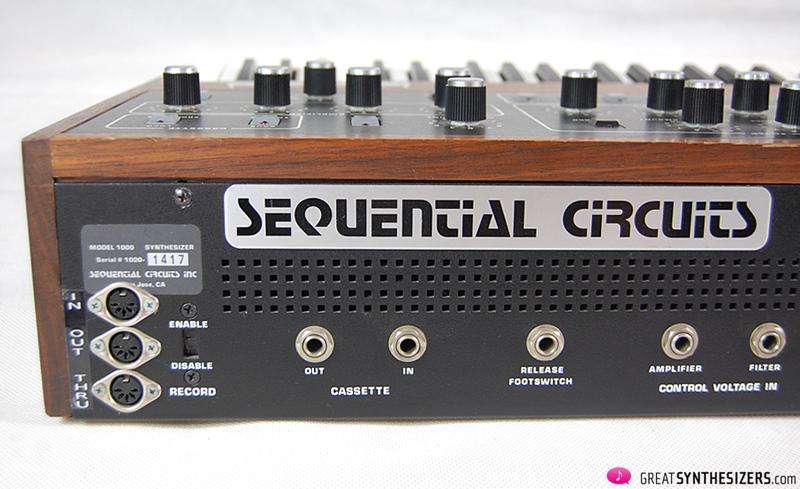 A pure analog soundpath with digital keyboard scanning and data storage. Nothing less than a revolution. 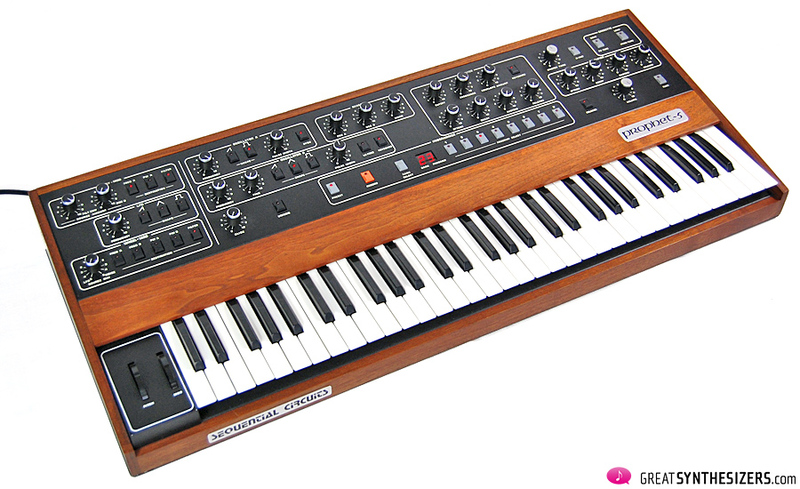 3 things (at least) characterize the background and development of the Prophet-5. Things that are inherent to the American way of thinking: team competence, a pioneering spirit and hard work. 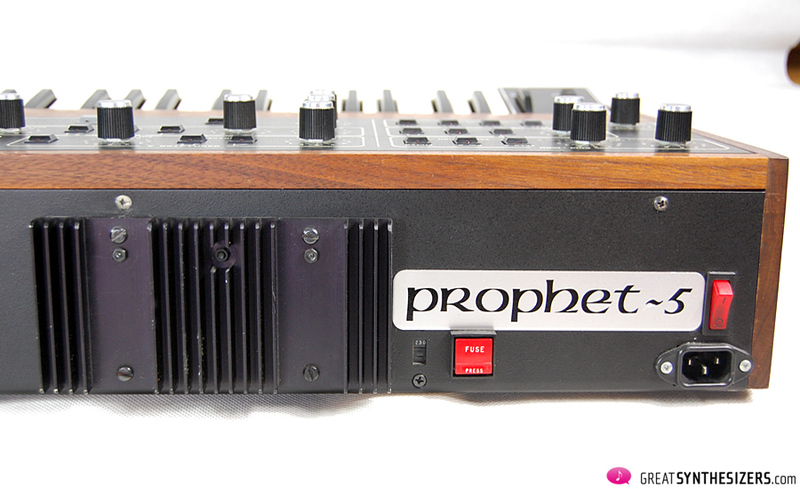 The Prophet-5 is a product of the efforts of many different people and individual companies. Dave Smith and John Bowen from Sequential first come to mind, but that’s only one side of the story. There’s also Barb Fairhurst. One of the few women in synth business, she made it all the way to vice president of Sequential and held that position until shortly before Yamaha took over the company in 1987. And then again: Dave Rossum (E-MU), Ron Dow and Solid State Micro Technology (Solid State Music / SSM), as well as Doug Curtis (Curtis Electromusic Specialities / CEM). The former developed the legendary SSM chips, the latter the CEM chips. 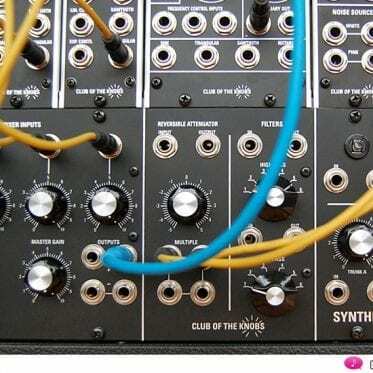 Without those “complete circuits on a single IC”, there would have been no way to create compact polyphonic synths. Without those chips, there would have been no Prophet-5 and no future for polyphonic analog synths, none whatsoever. And not to forget Scott Wedge (and Dave Rossum) who developed the digital keyboard scanning for E-MU that became, in the long run, the Prophet-5 keyboard. 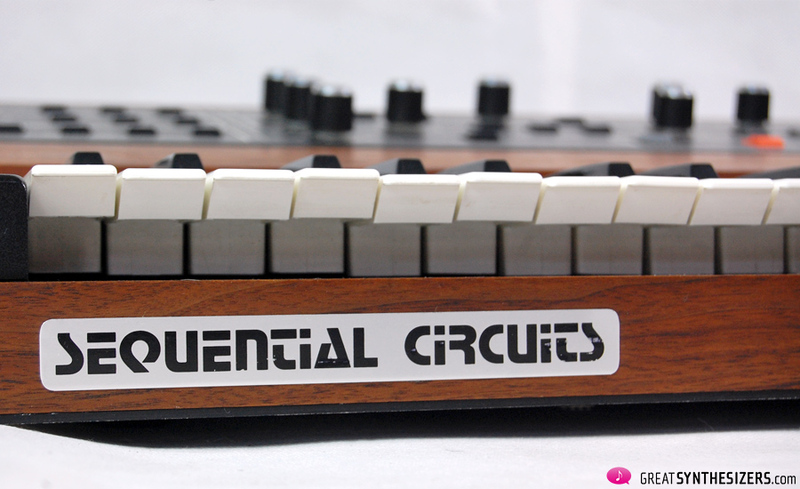 Then there was the well-known British keyboarder Rick Wakeman, who convinced Dave Smith that the new Sequential Circuits “Model 1000” had to have a REAL name. 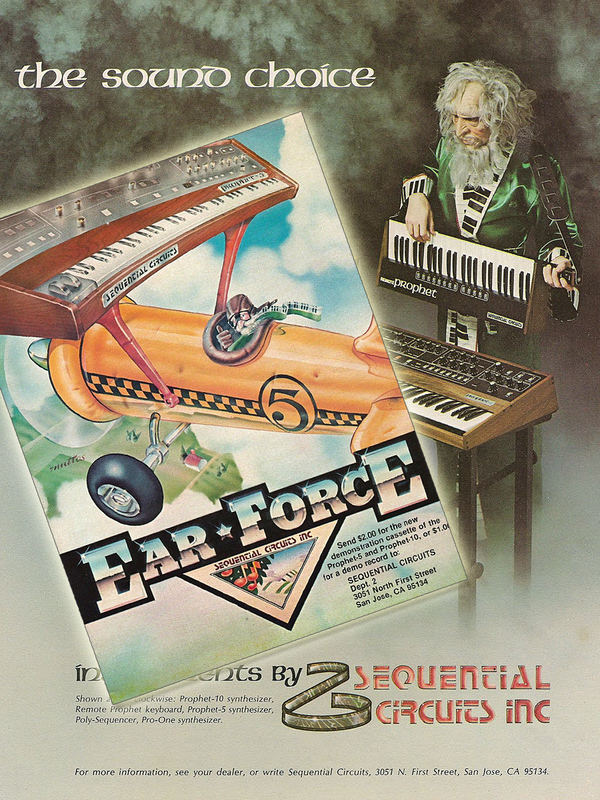 Wakeman was also involved in the front panel design. Last but not least, there was Robert Moog. 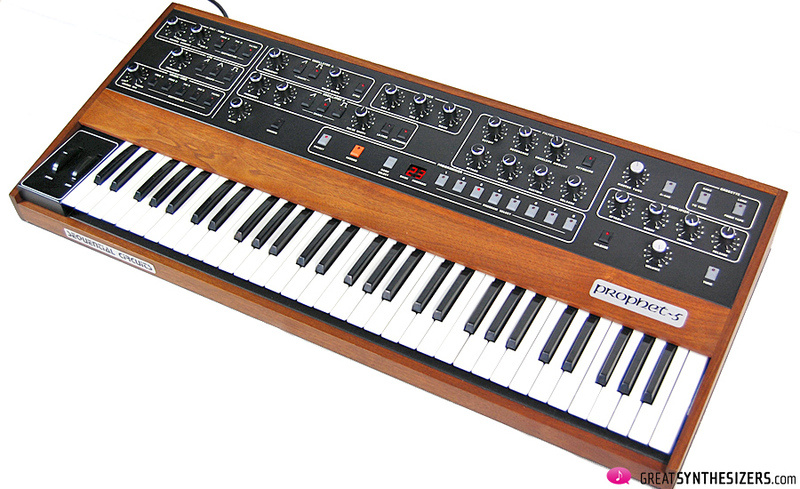 Dave Smith, John Bowen and Rick Wakeman loved the look of the Minimoog and must have had it in the back of their minds when they designed the Prophet-5: beautiful wooden casing, 2 wheels to the left of the keyboard, a well-layed out surface with a clear signal flow. Ingredients for a classic synth. But it’s not all about teamwork, pioneering spirit and visual superiority. The 5-voice Prophet is a legend in sound as well. According to Sequential Circuits ads, the Prophet-5 was the “worlds leading polyphonic [analog] synthesizer” of the late 70s. True now as well as then. A glance at the list of prominent Prophet-5 users in Peter Forrests “The A-Z Of Analogue Synthesizers” (part 2, page 165, 166) makes it obvious that it would have been easier to list those musicians who didn’t use the Prophet – as Steve Ridley has suggested. 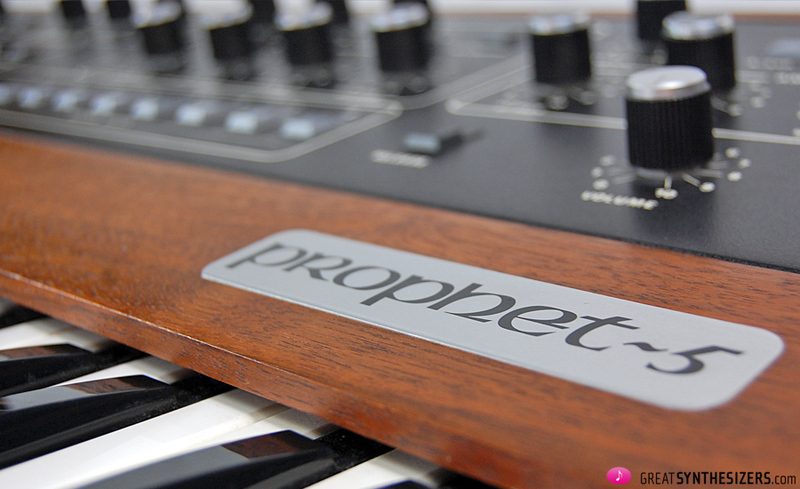 For many years, the Prophet-5 (“The Prophet”) has played a main part on all stages and in all studios of this world. True in 1980 and true today. 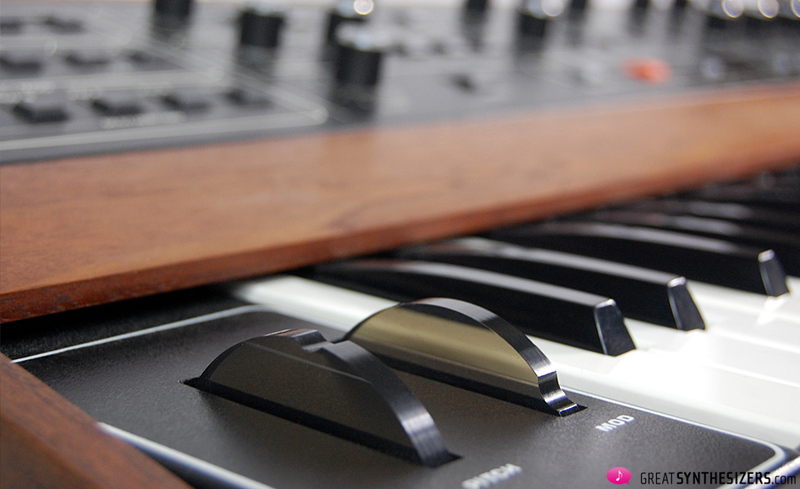 Without exaggerating, the Prophet-5 can be considered as one of the Top-5 – or even Top-3 – polyphonic analog synths. A Milestone and a Musical Legend. A successful product is – among other things – a result of good marketing. Classical: A company presents a new, technically innovative instrument and attracts the buyer’s interest with features lists, etc. Sequential went another way. They decided to try something different. They created a fictional world of drawings for the Prophet-5: a bearded prophet (a real human! ), a pilot with a synth where the wings should be, or a Sphinx at play … charming images that wooed the public for the Prophet-5. John Mattos, their genial creator, is still active on the advertising scene. Mattos’ pictures are little masterpieces. Unique, full of fun, and innovative. 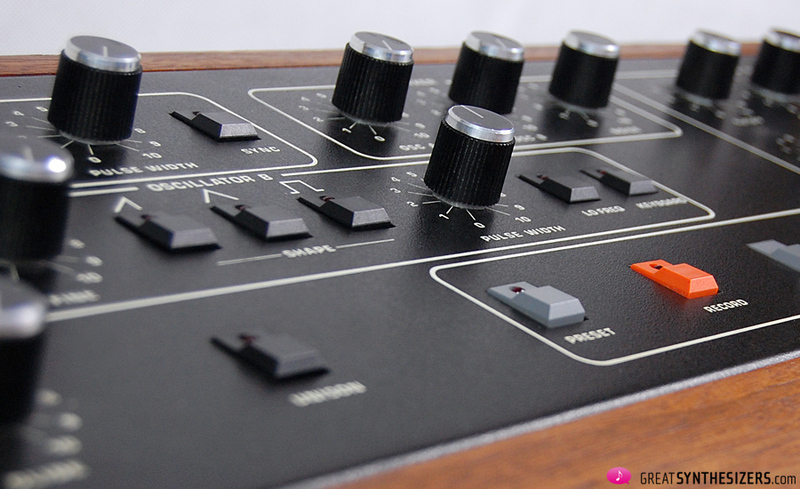 Or, in the words of the Prophet-5: legendary! [Biography excerpt: Mattos won over 100 awards for graphic excellence from various graphic magazines and design organizations including a Gold Medal from the New York Society of Illustrators, Gold from the New York Art Director’s Club and Silver from the Los Angeles Society of Illustrators. Each voice card equipped with 2 VCOs, VCF with ADSR, VCA with ADSR. Rev. 1 and Rev. 2 models had the SSM2040 filter chip. Rev. 3 (and higher) used the CEM3320 filter. Between 1978 and 1984 approx. 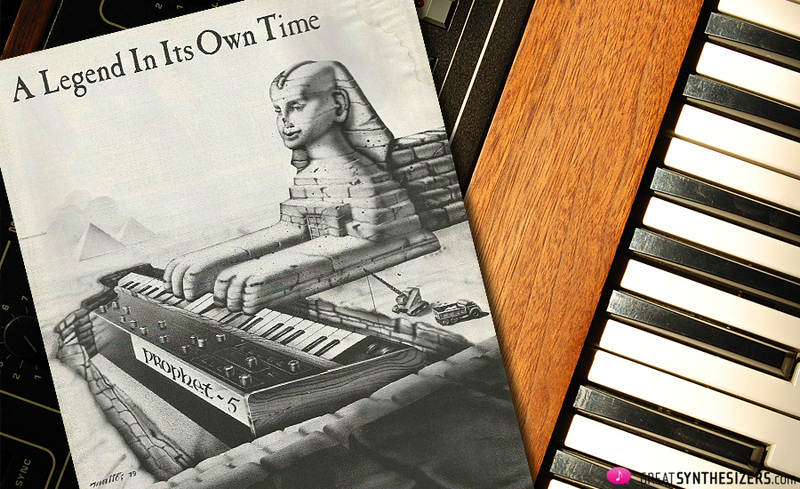 6000* instruments were sold, making the Prophet-5 one of the most successful analog polyphonic synths ever. That number of units left its competitors (Yamaha CS-80, Roland Jupiter-8, Moog Memorymoog, Oberheim OB-X/Xa/8, Elka Synthex) trailing far behind. 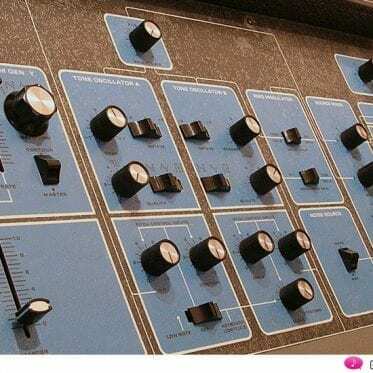 (Mark Vail, Vintage Synthesizers – page 174). HIFI is normally relegated to questions of recording technology. 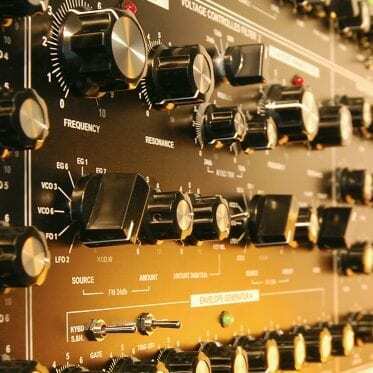 But that label HIGH FIDELITY (“pristine sound”) can be attached to the Prophet-5 without any compunctions. 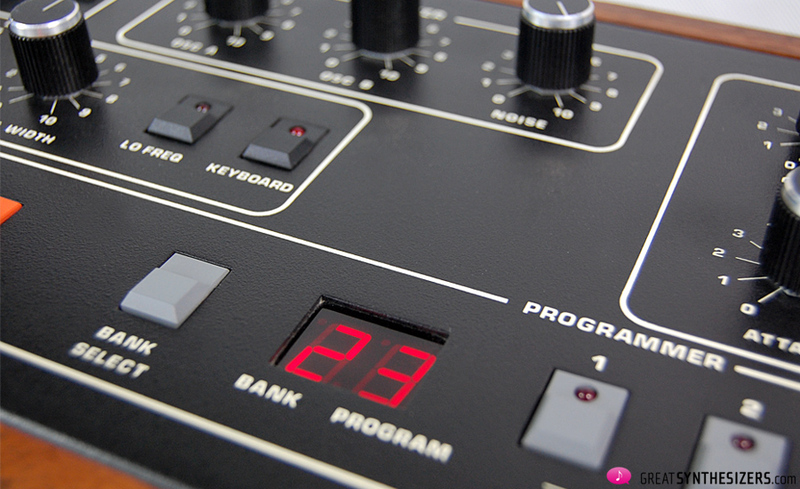 There are very few synths out there that boast sustained quality throughout the audio spectrum. And the Prophet-5 is one of those, along with the ARP 2600, as mentioned in an earlier test report. 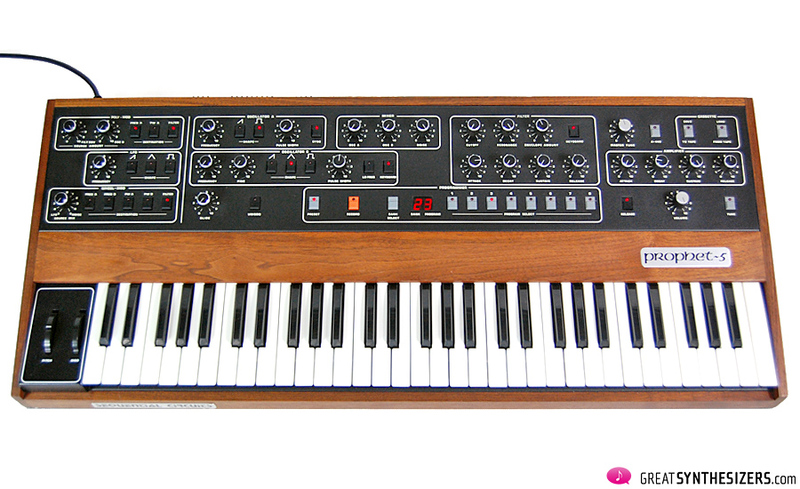 So, maybe we should be looking at the Prophet-5 as a polyphonic ARP 2600? Although the tag “polyphonic 2600” is usually assigned to the (ARP) Rhodes Chroma, we see definite acoustic parallels between the Prophet-5 and the ARP 2600. 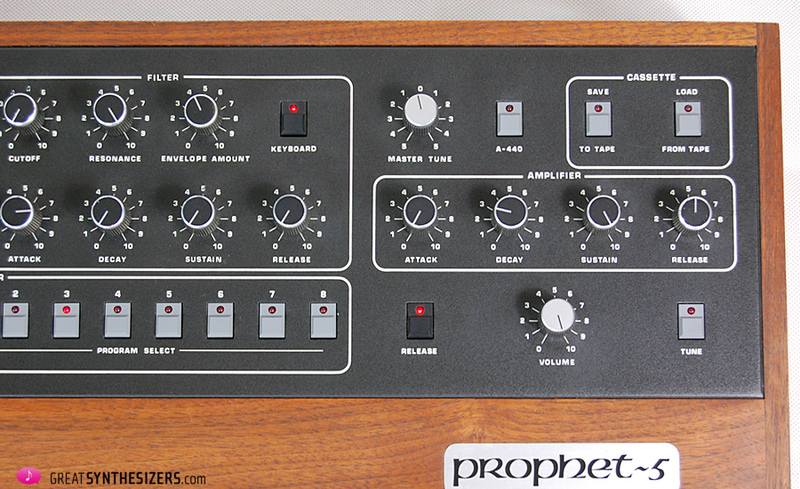 The sheer intensity and power of the Prophet sound is also remarkable because the instrument only boasts a single MONO output, meaning that special features such as stereo and layer/double sounds are not available. And yet: despite its MONO signal, the Prophet-5 sweeps the competition off the stage (ok ok, the Memorymoog might stand its ground …). 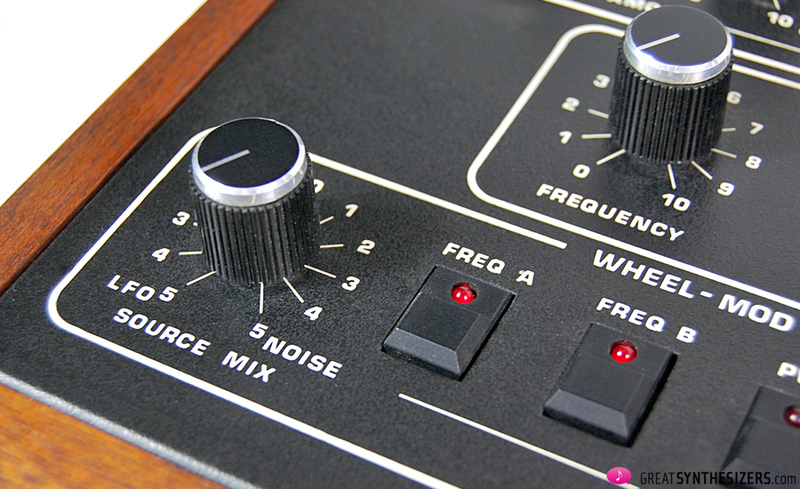 The acoustic power of the Prophet-5 is only one side of the story. Another side (almost as important, if somewhat controversal) is the vivacious character of its sound. Critics would be quick to imply that the instrument is “out of tune”, since each of the 5 voices tends to go its own sweet way. 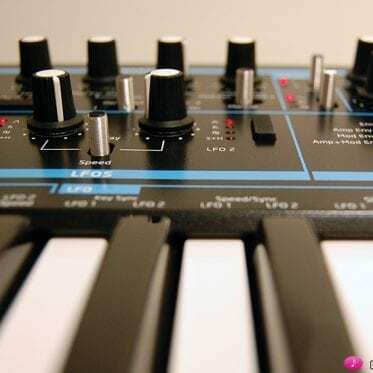 More beats, less beats, somewhat inbetween beats, than again many beats, suddenly a straight sound (“out of the blue”) – that’s the nature of the “out-of-tune” Prophet-5. And that is beautiful. Or not. Depending on how the instrument is being used. 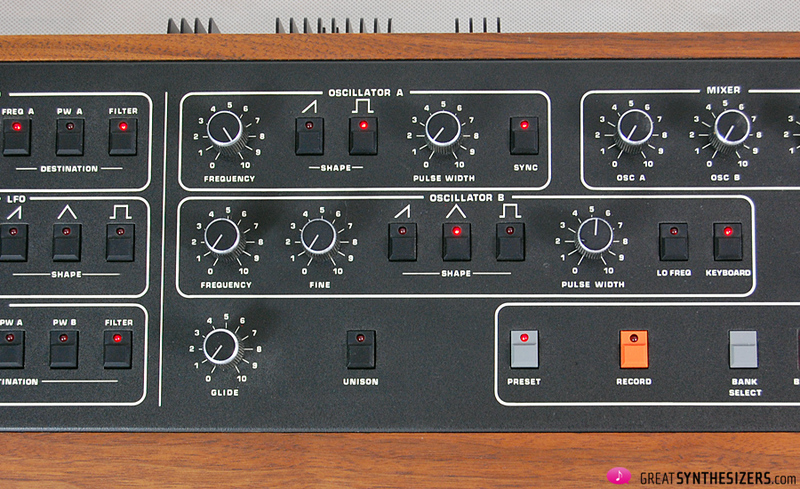 If you’re one of those that prefer strict professionality, and you mainly want to use the Prophet-5 for polyphonic music (for chords …), you won’t get around the TUNE button. Pressing TUNE keeps the Prophet in tune (aha!) for 15 to 20 minutes, after which you have to tune it again. We all know that, we can live with that. But those of you who see diverging-from-the-main (De-Tuning!) as just as important, and who also tend to use polyphonic instruments monophonically (lead sounds, solo voices, …), should be very cautious with TUNE. 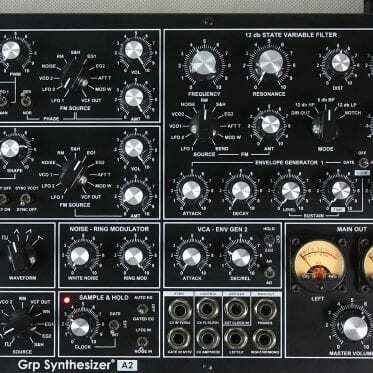 Using TUNE shrouds the great aestetics of Prophet-5: its unbelievable vitality. Irregularities: those components that give the sound a certain verve in monophonic and in polyphonic music as well. Of course, we all know that the ear isn’t as tolerant to irregularities in polyphonic as in monophonic music. Small divergencies from the pure intervalls are instantly registered (e.g. if the third is too small or the fifth just doesn’t want to sound true), whereas the ear is more patient with those small divergencies in a single melody. Which, of course, is why the TUNE function is necessary for polyphonic music and a clear-cut solution for intolerances that otherwise would be deemed – well, intolerable. On the other hand, that slightly out-of-tune Prophet has something deeply HUMAN about it. Slightly out-of-tune chords lend warmth, naturalness, charm to any sound, so also to the Prophet. Solo lines sound (as we’ve already mentioned) just a little bit unclean (but not in the least bothersome), the Prophet SINGS despite (or because of) all its inherent irregularities, something that our own voices and acoustic instruments do as well. 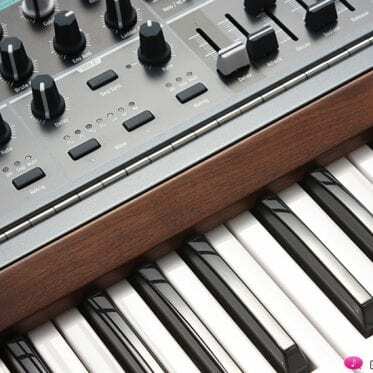 In this respect the Prophet-5 is a perfect symbiosis of technical (analog) irregularity – each voice going its own way – and useful factory features (press TUNE and enjoy the clean Prophet sound). But wait … aside from great HIFI sound and Tuned/Detuned charme, there’s another aspect to be considered. Another side of the coin, so to speak. That’s the Prophet’s Poly-Modulation section. Unique and one-of-a-kind in the realm of polyphonic analog synths (admittedly, the Memorymoog isn’t badly equipped either, and then there’s the Rhodes Chroma with its never-ending modulation possibilities – although the last cannot exactly be called user friendly). And then, too, there’s the Oberheim Xpander – but its sound is MILES away from the Prophet-5 (even if the Xpander’s sound architecture is vastly intricate). Soundwise, the Prophet is in a class of its own, undeniably one of the best (if not THE best) polyphonic analog synth. For all its assets, the Prophet-5 has deficits in the performance section (… that other intrinsic element in musical creativity). Those musicians used to the elaborate controller sections of Roland and Oberheim (vintage) synthesizers, will feel a pang of doubt at the sight of the two lonesome wheels of the Prophet, which constitute its entire, slender control section. 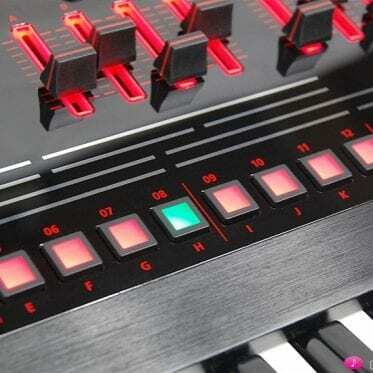 Love the arpeggiator of the Jupiter-8, Memorymoog or OB-8? 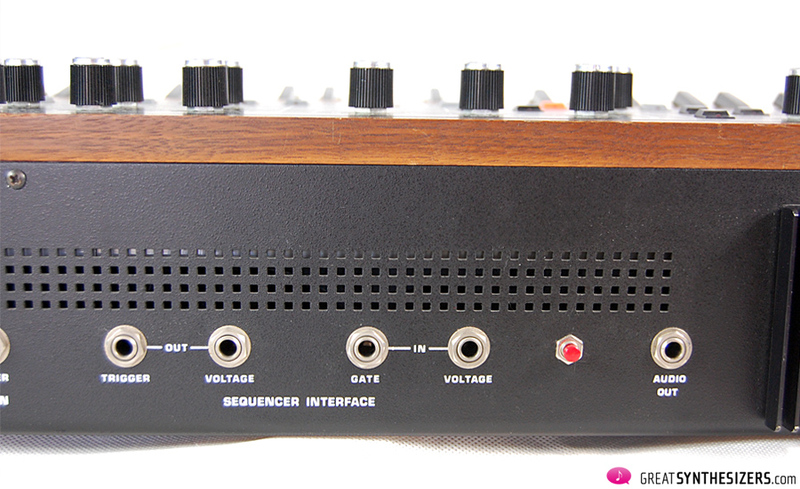 Like the Elka Synthex sequencer? Bad news – none of those to be found on the Prophet-5. There’s unison mode (10 VCOs at your fingertips) for massive lead-, sync- and bass-sounds. Then there’s glide (only in unison mode, though). That’s it. 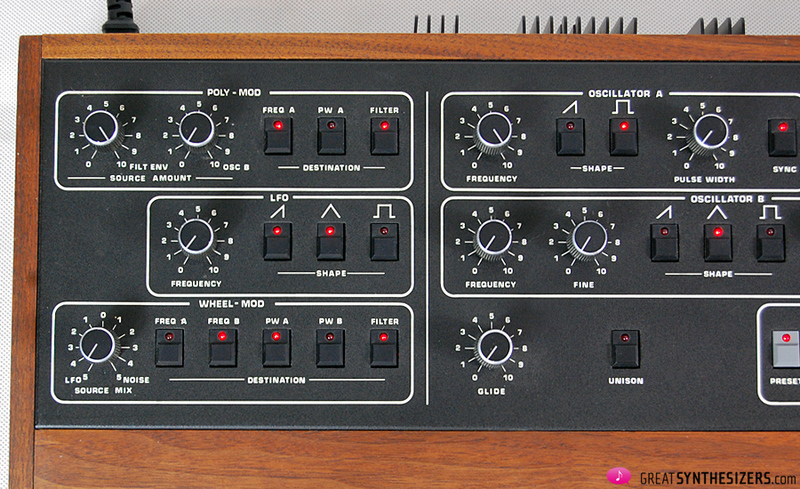 There’s also a HOLD button (an inconspicuous, but tremendously important little feature), and there are new filters (LP and HP), new VCOs … the Prophet-6 impresses! 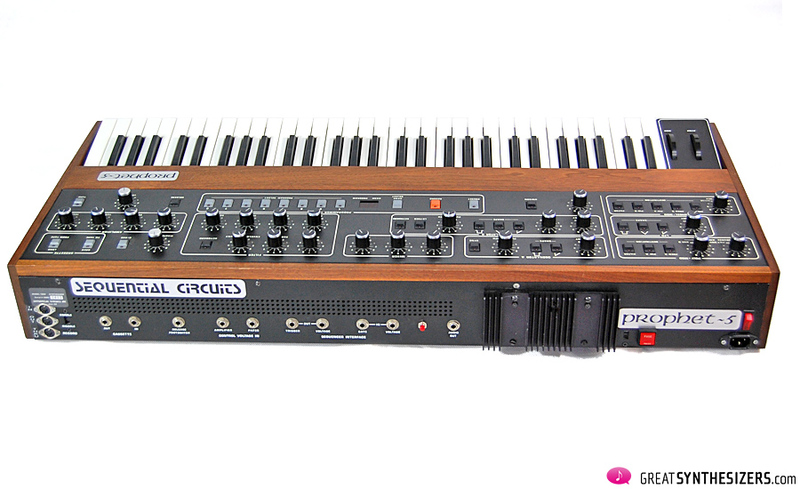 It gained an extra voice (hence the name …), but comes with a shortened 4-octave keyboard. 4 octaves are not enough, in our humble opinion. 5 would be the minimum, 6 would be even (much) better. Ok, now in 2017, there’s the Prophet Rev2. 5 octaves keyboard and 8 voices (expandable to 16 voices). Another – very interesting – alternative to the ORIGINAL. 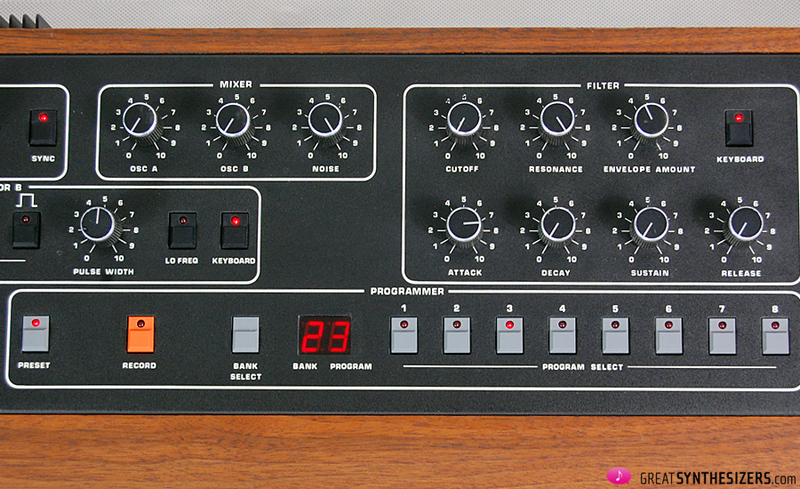 As with all vintage synths, time is trickling away for the Prophet-5. How about those chips? Which components are irreplaceable? Which are not? How about MIDI? Rev 1, 2, 3 ??? What, when, how …? Now, things don’t look all THAT bad for the Prophet-5. Admittedly, it’ll never come up to the high reliability of a Roland Jupiter-8 – no American vintage polysynth comes even close to those high production standards of Japanese synths of that time. What about the different revisions – which is the ideal Prophet? Well, there’s Rev 1, 2, and 3 … Rev 1s were built in 1978, followed by Rev 2s until 1980. (Mark Vail, Vintage Synthesizers – page 176). Rev 3s (1980-84) were substantially different from the earlier models, since they used Curtis chips, which are more stable and reliable than the SSMs. 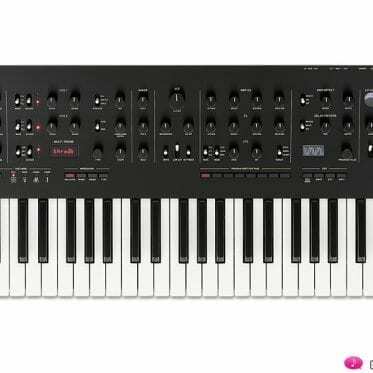 Prophet-5 Rev 3s are definitely more stable and eventually the ones to go for. 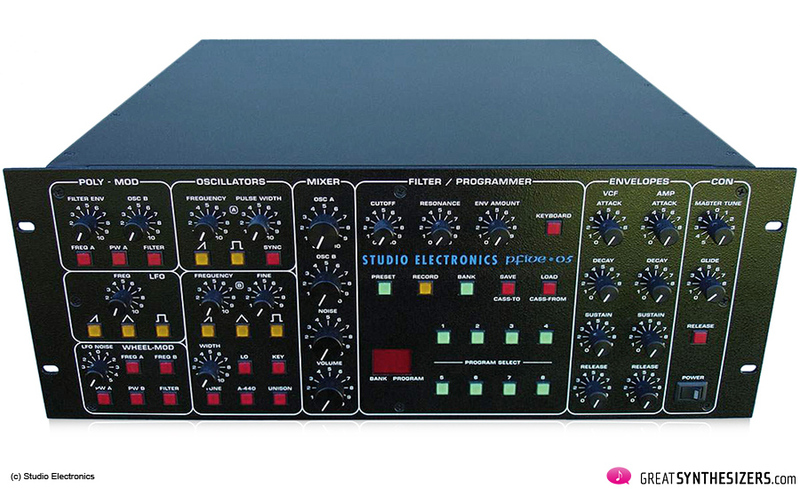 If you want the Original Prophet-5 in a modern rackmount MIDI box, the Studio Electronics P-Five may be a noble choice … very rare (and even rarer outside the States). 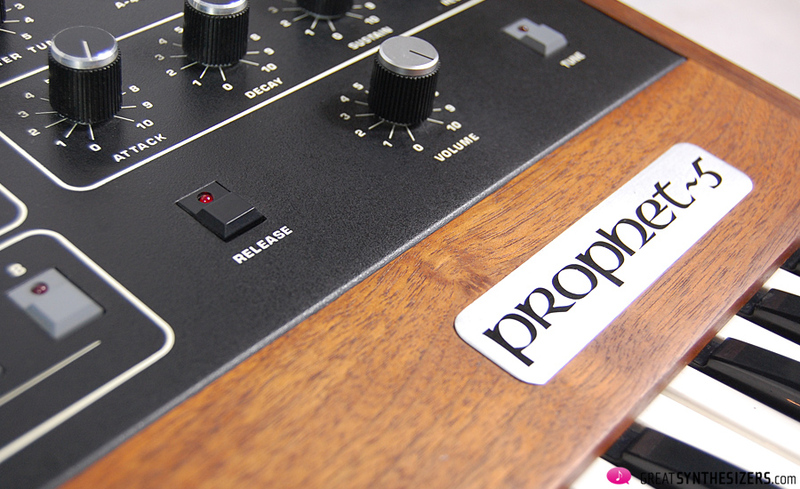 Prophet V and Prophet VS in a box, both instruments can be combined: Voilà – the Prophet Hybrid is born! If synthesizer history had to be reduced to just a few instruments, Prophet-5 would be one of those. It has served as a pioneer for programmable polyphonic synths and it is one of the milestones on which the modern synths are based. But above all, the Prophet-5 is a musical legend. Its sound has influenced countless artists all around the world and can be “heard out of” countless recordings. Its characteristic liveliness is unique and leaves practically all of the analog polysynths produced in the least 30 years behind it. The Prophet-5 is recommended to those musicians not willing to deal with compromises in audio quality. Sound purists looking for true HIGH FIDELITY (HIFI) will find it HERE. 50 minutes of audio-files are attached. 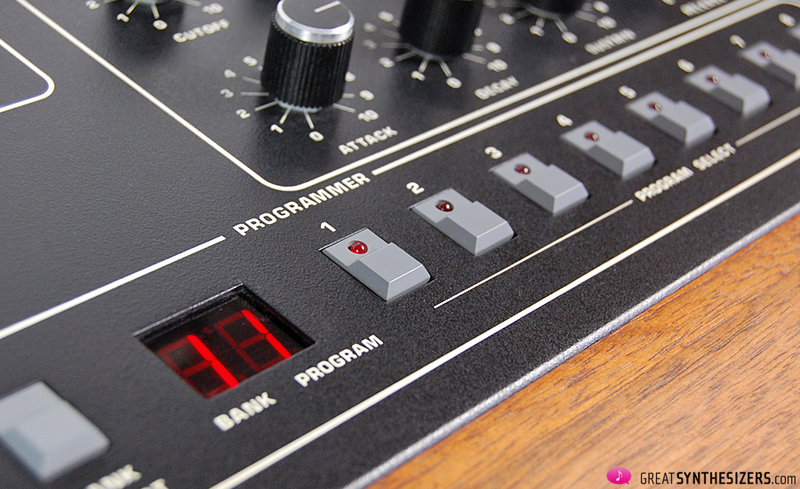 Have fun exploring the Prophet-5.